Learn how we are different from every other hospital and how to keep your pet healthy for life. Learn about why Wellness is important in our pets (and ourselves) and choose where your pet is on the Pyramid of Health. This Pyramid helps to see the 30,000 foot view of why it is important to bring our pets in for their Wellness exams. We are looking to find subtle cues of disease or illness that we can make adjustments in our at home care and prevent them from becoming larger problems. Our goal is for your pet to thrive and we need to work as a team to make sure there is nothing holding them back.Watch this video to learn more. Keeping your pet healthy is not a mystery. There actually is a formula to keep your pet healthy in the long term and a way to make sure if they do get sick that you won’t have to make a sacrifice in their health for financial reasons. What we have come to realize in seeing thousands of dogs throughout their various stages in life is that there are some common traits that old, happy dogs have in common. These common traits, along with a few other routine, preventative care items, can help you and your pet avoid the most common pitfalls that we see day in and day out. 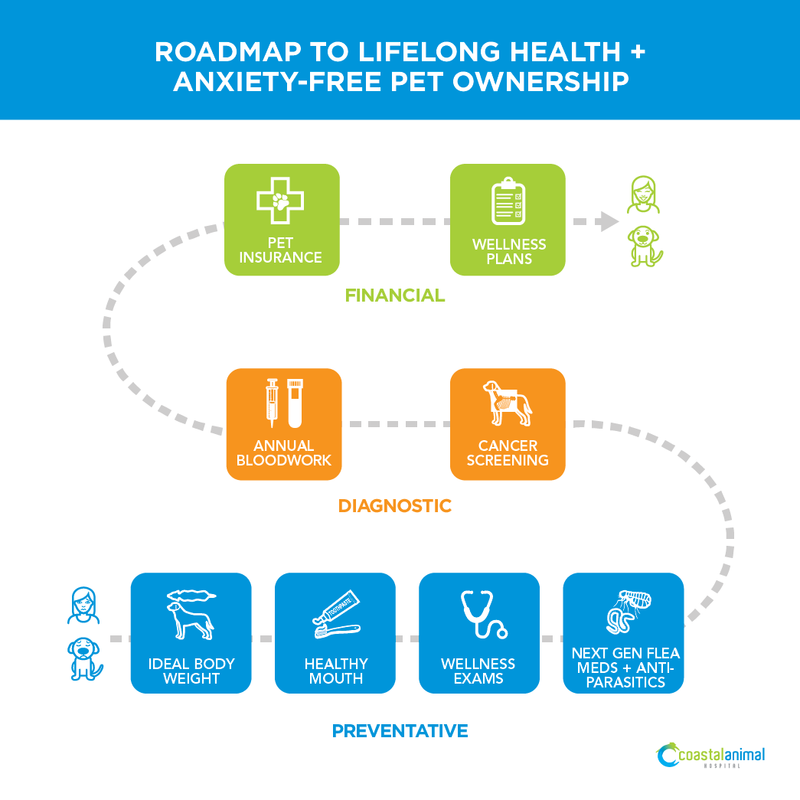 This overview of our Roadmap to Lifelong Health and Anxiety Free Pet Ownership (its a mouthful, we know) is our secret sauce on how we keep your pet healthier and you less worried about them. Watch to learn more. This is the one that everyone always rolls their eyes at us about. We all love our dogs. However, we have a tendency to love them too much with food. Food does not equal love. This has created an epidemic of obesity in our pet population which is having serious consequences on their health. It really does make us sad to see all of these fat dogs running around town because we know how much pain these young dogs will be in later in life. So while we feel like we are loving them with food, we are actually causing them debilitating pain because fat dogs get more arthritis, have lower energy, higher emotional disturbances*, and even have higher rates of cancer**. Watch to learn more and take ourFit Dog Quiz to see if your pet is the ideal body weight. Dental disease is nothing new in pets. It has always been there, the problem is veterinarians never knew what to do about it or how big of a factor it played in their overall health. Just like in humans, an infected mouth can cause infections in other major organs (the heart, lungs, liver, and kidneys) but more importantly is a MAJOR source of chronic pain in animals. Animals don’t have a way of telling us when they are feeling dental pain (unless it is severe) are can deal with pain in ways that we wouldn’t stand for so they continue to eat and drink as if nothing is wrong. A thorough oral examination anddental cleaningdoes require general anesthesia but the relative risk of anesthesia (which is very low when done right) is much less than dental disease and pain. Watch the video to learn more. Preventative medicine is the name of the game. By finding and treating problems early, we can prevent them from turning into disasters that can require months of treatment. A classic example is the common ear infection. We find a lot of dogs are living with ear infections and are not yet “clinical” for them – meaning they are not yet painful, shaking their head, or have a bad odor. When we find and treat these ear infections early, we can treat them with minimal effort. Once they have been there for a long time and are pouring out of the ear canal, these ear infections, are a chronic source of pain and can take a frustratingly long time to heal. This is why we recommend coming in twice a year for a thorough examination to find any problems that may be brewing and treat them early. Many unnecessary vet visits and antibiotic prescriptions are due to people stopping their flea medications. However, it never gets cold enough here to cause the fleas to die off and we see some of our worst flea infestations during San Diego’s “winter” months. We can help guide you through the choices and find the best option for your family. 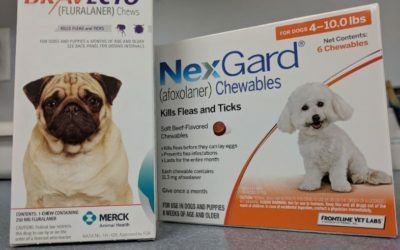 We also recommend “heartworm” medications, not so much for heartworm protection, but because these pills also protect against intestinal parasites. If this can prevent a single bout of diarrhea a year, then not only will it end up saving you money, it will also save your house from that unpleasant disaster. This is also important because some of these intestinal parasites are transmittable to people. Watch to learn more. Lab values can sometimes be a tricky tool. 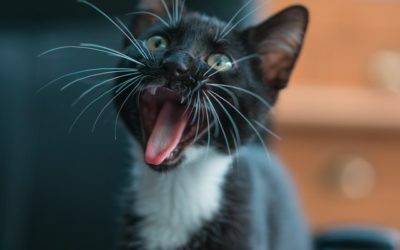 If your pet is sick and we need to run a blood test to help determine the causeandthey have elevated values, we will need to question if these values are elevated and causing our current problem, or if they have been elevated for awhile and are a completely separate issue from what we are currently dealing with. Annual lab work helps to establish a baseline for your pet, as well as early diagnosis of many diseases which are better managed before they become big problems. Also, this is important to know if your pet ever needs to be anesthetized because these lab values help us to determine if your pet can process the drugs we use to induce anesthesia. Watch to learn more. No one wants to find out their pet has cancer and these are the most difficult conversations we have as veterinarians. However, the conversation is a better one if there are viable options for treatment instead of finding it once it has taken over the body. Most dogs and cats don’t show signs of cancer until it is too late. We see it all the time where someone tells us their pet has been 100% normal until yesterday, then all of a sudden, they are extremely ill, we find out they have cancer, and there is little we can do. Twice yearly exams are the best tool we have to find external signs of cancer early, but we are limited on what we can diagnose when the cancer is internal. Imaging studies are really the best tool that we have to look for evidence of cancer internally. Watch to learn more. The final 2 steps are designed to reduce our stress and pain. Vet medicine has advanced over the years allowing us to better diagnose and treat our pets, but the problem is – those advancements can be expensive. Following all of the above steps can help to keep your pet healthy and avoid many of the common pitfalls, but it is no guarantee that they will never get sick, develop allergies, tear their cruciate ligament, get hit by a car, etc. A quality pet insurance plan will keep you from feeling stress about your wallet, and keep all of your worry focused on the health of your pet. See ourblog post regarding pet insurance. In short, we recommend Nationwide Whole Pet with Wellness. Watch to learn more. Because we believe in these tools, we have also created a way for our clients to participate in a wellness program that makes it easier to budget for their care. Our Wellness Plans includes up to 4 examinations/year, all of the vaccines and other wellness items, annual blood work, and a years supply of flea and heartworm medications. For senior pets, we also have our Senior Wellness Plans which include the cost of the Annual Pet Cancer Screening Day in November. This can give us the peace of mind that we are not missing a major disease in our older friends. Both the Adult and Senior Wellness Plans have a “+” version which also includes the cost of a dental cleaning procedure (extractions and other therapies are additional). Watch to learn more. These are the steps on the Roadmap to Lifelong Health. They are simple, but they are powerful. If you follow these steps then you will set your beloved pet up for a long happy life. We cannot promise your pet will never get sick, injured, or develop a serious disease, but we do know that with these tools, we can minimize preventable problems and manage a lot of diseases before it has become an insurmountable task. You may have seen other wellness plans at other veterinary hospitals (maybe even a big corporate one inside of a large pet store), but please do not confuse what they do and what we do. Many of the wellness plans that are out there are loaded with a bunch of unnecessary stuff to increase the perceived value of the plans but are really just fluff. Most of the plans DO NOT include a year supply of flea and antiparasitics (heartworm) medications. Ours do. When you add in that expense, our plan is more affordable than the large corporate plans and it actually provides for what your pet needs. If you have gotten this far and haven’t watched the entire video above we would highly recommend you do. We promise you will learn how to better care for your pet and understand why we have each of these items in our Wellness Plan. If you have any questions, please reach out to us and we can help answer any questions, schedule an appointment, or just chat about how great San Diego is. *Quality of life is reduced in obese dogs but improves after successful weight loss. The Veterinary Journal, Vol 192, No. 3, June 2012. German, A.J., et al. **Effects of diet restriction on life span and age-related changes in dogs. JAVMA, Vol 220, No. 9, May 1, 2002. Kealy, et al.